VintageView modernized wine cellar design by developing the label-forward wine rack in 2001 and continues to innovate with artistic product development, quality, and industry-best service. It is the preferred wine storage option for leading design and build professionals throughout North America and beyond..
With over 15 years of experience in delivering outstanding customer service, design, and implementation, we are able to work with each client to provide the unique results they are seeking for their home or business. Our experience allows us to understand the many facets of the wine cellar business as well as all of the latest products in order to provide a custom solution for each individual situation. Clients can expect to work directly with owner Brian Worker, who brings a background in sales, installation and construction to the business each and every day. And most importantly Brian’s daily focus on customer service and business integrity translates into happy clients that would be pleased to tell you about their experience with Red Leaf. Equally important to us, and ultimately to you, is our relationship with our manufacturers and installers. Our business is built on the quality of the product we deliver for our clients and we have strong relationships extending many years with some of the best in the business. 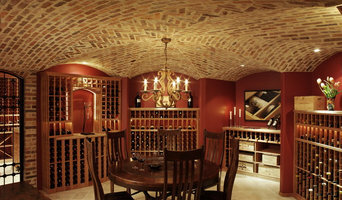 Award Winning wine cellar designer based in Denver Colorado. We love wine and are devoted to making every wine cellar we make as safe as it is beautiful. Specializing in custom work, Savanté beats out the competition by simply offering the highest quality materials to result in the finest wine cellar and the focal point of your home. After all home is where the wine is. Designing and building very unique high end wine cellars across the country since 1986. I am not aware of any other wine cellar builder in the country that approaches the design process with a similar approach. Browse my photos to see the difference. 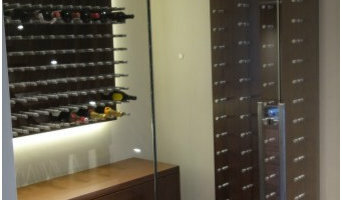 Our mission is to help our clients create functional and attractive wine storage in their homes and businesses. We will accomplish this goal by understanding each client’s personal desires and applying innovative technologies and design techniques while paying utmost attention to detail. Custom Wine Cellars Denver can help you through the steps of building an exceptionally unique wine cellar that is tailored to your aesthetic goals. It is a smart idea to work with wine cellar builder who has extensive experience in designing and installing custom wine cellars. At Custom Wine Cellars Denver, we help clients to have an eye-catching wine display area using VintageView metal wine racks. When designing a wine cellar, choosing the right wine racks is crucial. 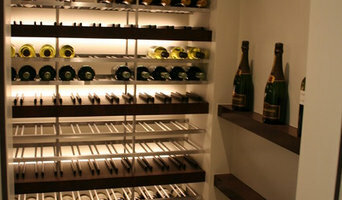 Your wine rack system has a significant impact on the overall appeal of your wine room. Wine is sensitive to heat, light, odor, and vibration. To keep your wine collection safe for many years to come, you must invest in a refrigerated wine cellar. In addition to proper wine storage, another reason wine collectors must build a climate-controlled wine room in their home or commercial establishment is to display their wines impressively. You want your prized wines to be displayed impressively. Thus, you must work with a knowledgeable designer who will meet your aesthetic and functional needs. 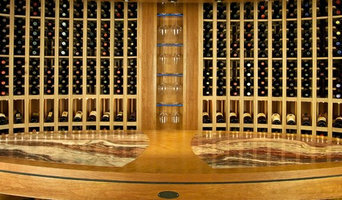 Custom Wine Cellars Denver is a member of the ‘Wine Cellar Designers Group,’ an accredited third party of wine cellar builders and designers. We collaborate with top-notch dealers who are located across the United States. If you need help, do not hesitate to call us at (303) 872-7858. Att lagra vin har blivit mer populärt och har man möjlighet och plats så kan man absolut satsa på en vinkällare hemma. Det är en lyx att kunna ha ett vinrum vilket skiljer sig en del från att enbart ha ett stort vinställ. Det kräver således en del planering av utrymmet. När man ska lagra vin i en källare så måste man fundera över temperaturen. Detta är viktigt för att vinet ska lagras i rätt takt. Man bör också fundera över hyllsystem så att flaskorna befinner sig i rätt lutning. Många väljer att bygga vinställ i trä men fundera över vilket material som passar in hos er. Det krävs en del för att bygga en egen vinkällare i Denver så ta gärna kontakt med någon inom branschen för tips och råd. Lite beroende på hur man utformar sitt vinställ och hur man väljer att bygga sin vinkällare hemma i Denver, CO så kan hyllorna se lite olika ut. De flesta flaskor behöver ligga ner när de lagras medan andra utan problem kan lagras stående. Detta beror på om flaskan är försluten med en naturkork eller skruvkork. När man ska bygga ett vinrum eller eget vinställ kan det därför vara smart att se till att man har plats för båda delar. Det viktigaste är att flaskorna inte skakas eller rör på sig under lagringen.